Please complete all portions of this form as best you can. This form is secured by SSL encryption. In case of emergency, whom may we contact? The U.S. Census Bureau is asking all medical offices to collect demographics from all patients. To opt out, please select Declined to Specify. Do you have any history of have you been diagnosed with any of the following? If YES, please check box. Last blood pressure reading? If you have Diabetes, what was your last A1C reading? Have you had any of the following symptoms? If YES, please check box. Do you wear glasses? No Yes, How old are they? Do you have problems with any of these systems? If YES, please check box. Are you Pregnant? No Yes / If yes, how many weeks? Do you have any family history of the following? If YES, please check box. Past Somker? No Yes - If yes, when did you quit smoking? Do you drink alcohol? No Occasional 1 per day 2-3 pack per day 4+ per day - How much? 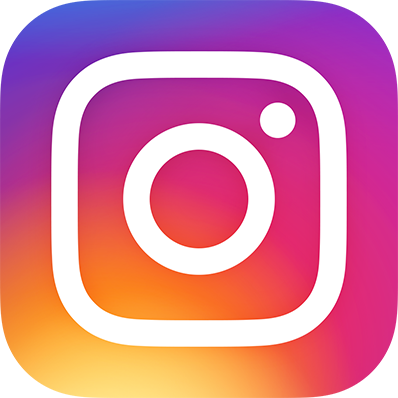 Description of Information: Submission of health and personal information to all insurance companies involved in the payment of the office visit or any other entity responsible for the payment of the visit. Name or class of person(s) authorized to make the used or disclosure: Any office employee directly involved in the care or claim submission to the insurance companies. Date or event when authorization expires: Indefinite from the date of this signed document. Description of each purpose of the requested use or disclosure: Obtain payment from the insurance companies, pre-authorization and post-authorization reviews. WE WILL NOT RELEASE YOUR PERSONAL HEALTH INFORMATION TO ANYONE WITHOUT YOUR CONSENT. I understand that I have the right to revoke this authorization, in writing at any time, except (1) where uses or disclosures have already been made based upon my original permission, or (2) the authorization was obtained as a condition in securing insurance coverage and the insurer by law has the right to contest a claim or the insurance policy. I understand that the use and disclosures already made based upon my original permission cannot be taken back. To revoke the authorization, I must do so in writing and send it to: Nancy Chen, M.D., dba Kapolei Eye Care, at P.O. Box 75625, Kapolei, HI 96707. Federal Privacy Standards. I may receive a copy of the full HIPAA disclosure for review upon my request. Dilation drops are used to dilate or enlarge the pupils of the eye to allow your Optometrist/Ophthalmologist a better view of the inside of your eye. You will only be dilated if your doctor finds it necessary for further treatment. You have the right to refuse dilation, but it is required for certain tests and to complete full eye exams. Dilation of the pupils will cause temporary blurry vision and some light sensitivity. It is not possible for your doctor to predict how much your vision will be affected. Therefore, we advise caution in operating any equipment or machinery, including driving, until the effects of the drops have worn off. Adverse reactions, such as acute angle-closure glaucoma, may be triggered from the dilating drops. This is extremely rare and treatable with immediate medical attention. I, , authorize dilation drops to be used from this day forward in the treatment and management of my eye health. - I understand that I will be responsible for all known patient portions and non-covered services on the day of my visit. I understand that the collected amount is an ESTIMATE ONLY and that the correct amount will not be known until you bill my insurance. Any other charges that I am responsible for will be mailed to me after my insurance pays, or collected from me upon my next visit. - I understand that if I am covered under HMSA QUEST, Medicaid or AlohaCare it is my responsibility to make sure that I did not use my benefits for an eye exam and glasses for that year. If my benefits have been exceeded, I understand that I will be responsible for the whole amount due. - I understand that Kapolei Eye Care will make an effort to verify eligibility with my insurance plan(s), but ultimately, it is my responsibility to know the benefits of my own plan(s). - I understand that if I am part of a Union (ex: Carpenters, Painters, etc.) payment(s) will be collected in full from me for all services, where for exam or appliances and will be reimbursed accordingly. It will be my responsibility to verify that I am eligible for any type of appliances for that year. (Union insurances are not allows to disclose that information to providers, only to members). - I understand that it is my responsibility to inform Kapolei Eye Care of any insurance change(s) throughout the year. If no updates are received from me on a timely manner, I understand that my insurance may reject/deny my claim(s) due to “timely filing deadline exceeded” and that I will be responsible for the whole amount owed. - I understand that there are non-covered services and taxes that my insurance my not cover at all and payment for these services are my responsibility. (ex: Refraction: determination of the power of my eyes to correct my vision with glasses or contact lenses, and Contact Lens Fitting: the fitting of contacts over the cornea, by determining the base curve, shape and diameters, etc). These procedures are not covered by Medicare and many other insurance plans. Charges determined by my insurance to be my responsibility thereafter will be billed to me. services. I understand that Kapolei Eye Care is unable to accept payment plans except on emergency cases. Self-pay patients paying for services in full today may receive a discount off the visit, which must be paid in whole. Kapolei Eye Care accepts VISA, MasterCard, debit cards, money orders, personal check, and CareCredit. There will be a $25 service charge for all returned checks. In the event of default, I promise to pay legal interest (35%) on the debts, together with such collection costs and reasonable attorney fees as may be required to affect collection of this note. yment of your account. If such problems do arise, we ask that you contact us promptly for assistance with the management of your account. 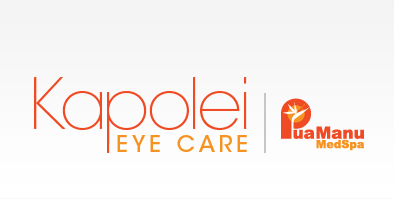 I certify that the information I have provided to Kapolei Eye Care is true and correct. I acknowledge that I’ve read the above information. Further, I understand that I am responsible for payment of all charges for services and items provided. I understand that this is an open-ended agreement. I authorize release of any information from my files including, but not limited to, my medical and financial records necessary to process my insurance claim(s) and request payment of insurance benefits to either myself or the part who accepts assignment/participation with my insurance company. Click on the 'Submit' button below to send your information to our office. © 2019 Kapolei Eye Care and MedNet Technologies, Inc. All Rights Reserved.